Another school year is in the books, and another class of fresh-faced teens is preparing to close out another chapter of their lives. It’s a big moment for all the classes of 2018, but one thing’s for certain: they’ve come a long way. They’ve achieved a lot and seen a lot in their time, and similarly, a lot has happened during their lives. Eighteen years might feel like no time at all, or it might feel so long ago that it’s hard to remember what was actually happening. That’s where we come in. To celebrate the class of 2018, we thought it would be fun to get a little sappy and reflect on what was big in 2000, the year the class of 2018 was born. Here are some pop culture moments from 18 years ago. The 66th volume of popular music compilation Now That’s What I Call Music! came out in May 2018, but back in 2000, we were only on the fourth and fifth volumes. Featured artists on both Now That’s What I Call Music! CDs included Mandy Moore, Hanson, Eiffel 65, Britney Spears, Savage Garden, Mystikal, Destiny’s Child, 3 Doors Down and BBMak. Now a cult classic, Bring It On debuted in August 2000 and gave us lots of sass, spirit fingers and Kirsten Dunst. Britney Spears dominated 2000, and the video for “Oops I Did It Again!” helped accomplish that. With a futuristic setting, an iconic red latex catsuit and a fun Titanic reference, this epic music video was one of the most memorable of the year. The first-generation iPod wouldn’t come out until 2001, but rumblings of Apple’s next big innovation were happening late in 2000, and we were all very curious. At the start of 2000, we were still in a bit of a Y2K hangover, with jokes about it and references to it becoming part of the cultural landscape. After spending 1999 panicking that our technology would melt down on us and we’d all enter a dystopian horror show, it was nice to wake up on Jan. 1, 2000, and see that the tech fixes worked and life was going along as normal. Pass the tissues, please, because we’ll never truly be over the fact that back in 2000, Jennifer Aniston and Brad Pitt were still happily married. They were newlyweds back then, and they looked so happy together on the Emmys red carpet. Who could have predicted that they only had a few more years together before calling it quits in 2005? Jersey Shore was a distant dream, but with Real World and Road Rules putting MTV’s reality TV programming on the map, 2000 saw the debut of another one of the network’s most infamous franchises: Cribs. “Say My Name” earned then-newbies Destiny’s Child a Grammy back in early 2000, and nothing was ever the same. The group would split up in 2006, but this year was around the time that Destiny’s Child had a big break. Before FaceTime, apps or emojis, all anyone wanted was the ability to call their friends on a cell phone that fit into their back pocket. 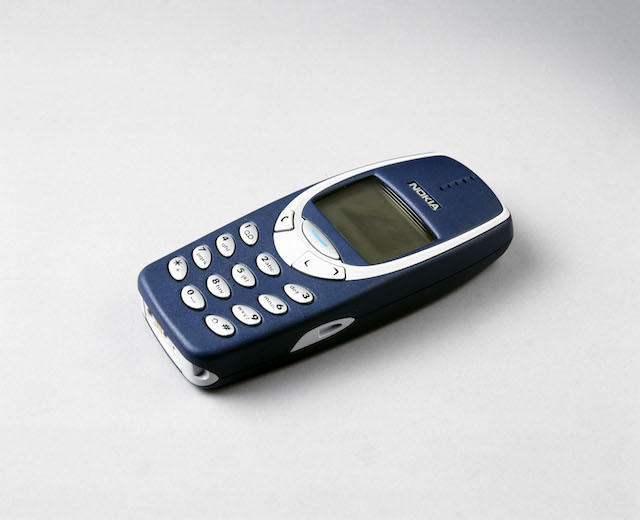 Enter the Nokia 3310. This phone was released in the last quarter of 2000 and was extremely popular, if you can believe it. Remember AOL and getting access to the internet with one of these pesky things? We should all be glad those days are behind us. Seriously, though, who could forget Jennifer Lopez’s iconic plunging green dress from the 2000 Grammy Awards? The movie wouldn’t be released until 2001, but the first posters for Harry Potter and the Sorcerer’s Stone were popping up everywhere in December 2000 and getting a whole generation of fans hyped up in the process. 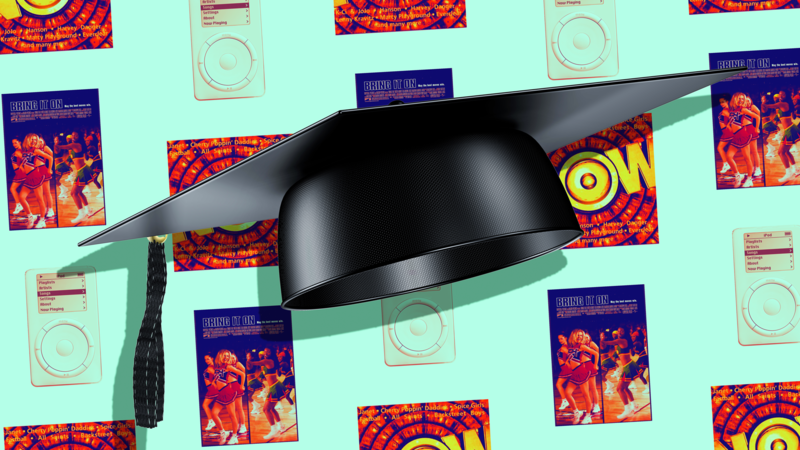 We still weren’t tired of Vitamin C’s biggest hit song, “Graduation,” released in 1999. Chances are high that in 2000, it was still getting trotted out at every graduation ceremony across the nation.